One-Owner. Clean CARFAX. 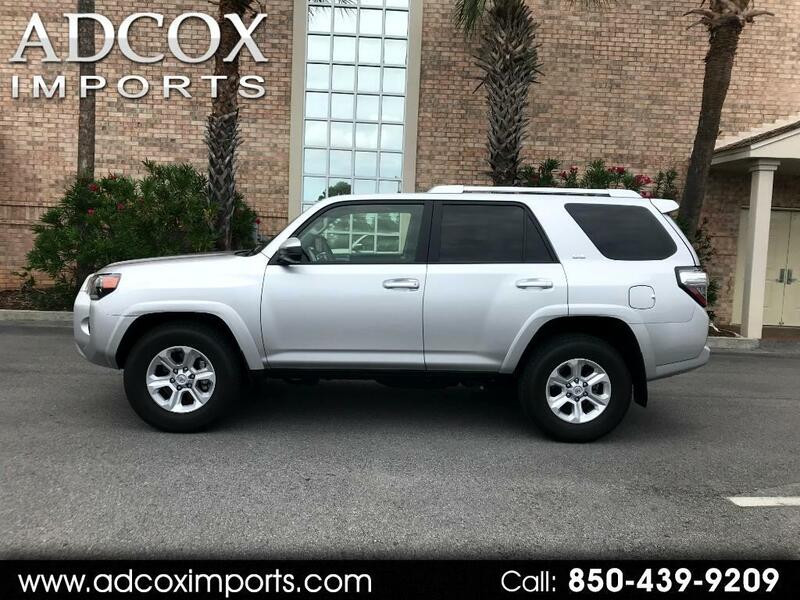 Classic Silver Metallic.2018 Toyota 4Runner SR5 RWD 5-Speed Automatic with Overdrive 4.0L V6 SMPI DOHC 4.0L V6 SMPI DOHC Black Graphite w/Fabric Seat Trim **CLEAN CARFAX** **NO ACCIDENTS** **ONE OWNER** Navigation,ABS brakes, Alloy wheels, Electronic Stability Control Emergency communication system, Heated door mirrors, Illuminated entry, Low tire pressure warning, Remote keyless entry ,Traction control,Back-Up Camera. VISIT OUR WEBSITE AT WWW.ADCOXIMPORTS.COM FOR MORE PICTURES! !